Tat & Cristian - Thanks for the help fellas. I currently own both kits, but I've been out of town for work. I just got home and counted the Takom Chieftain Mk 5P. It comes in at 772 parts including indi link tracks, track pads and PE. If this is ok then that'll be my entry. 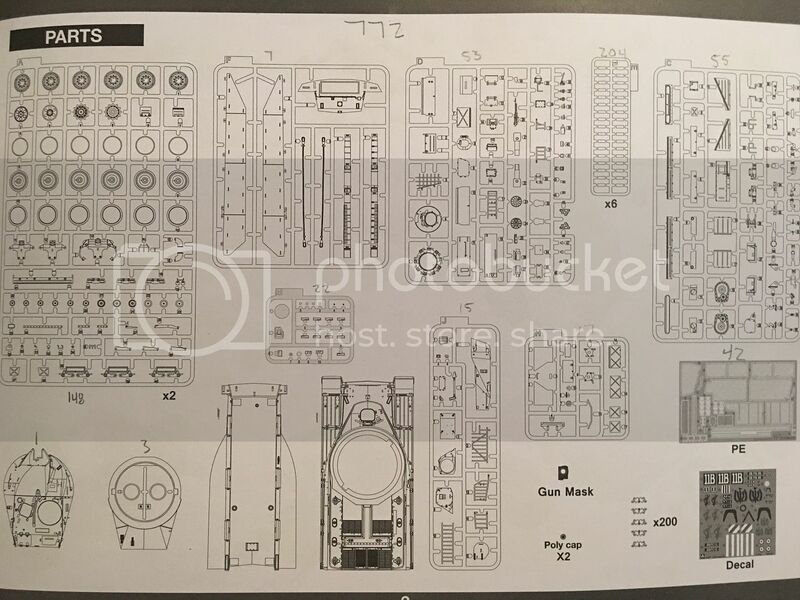 For the Meng M1A2 Abrams, the tracks alone comes out to 1124 parts. The kit total is around 1580 parts. The Meng T72B3 is over 816 parts (I haven't counted all the trees yet). I guess I'll either enter with the Stryker mortar carrier, or the AAVP-7A1. That's awesome! I've been trying to gather everything for an Achilles build for over a year. Between reviews and campaigns and such, it's been moved to the back burner at least 2 times. There's only one or two more things I need to get started. An Aber interior set and 17 pdr ammo or maybe I'll just scratch the corrections for the ammo storage... Either way, I'm excited to get this one started. I guess we just need to go mug someone and drag them into this campaign commitment so we can finalize the plans. Wait... Mugging is wrong, how about we use the term "forcefully entice"... Yeah, that sounds better! No worries Dustin. Doing an actual count would be the last recourse. Looking forward to your build. Thanks for getting the time to check and report the part count, Gary! "Forcefully entice"... yeah, that's what we should do At the pace the nine of us have summoned, I thought this was going to be a quick one. I´d like to take part on this compaign. 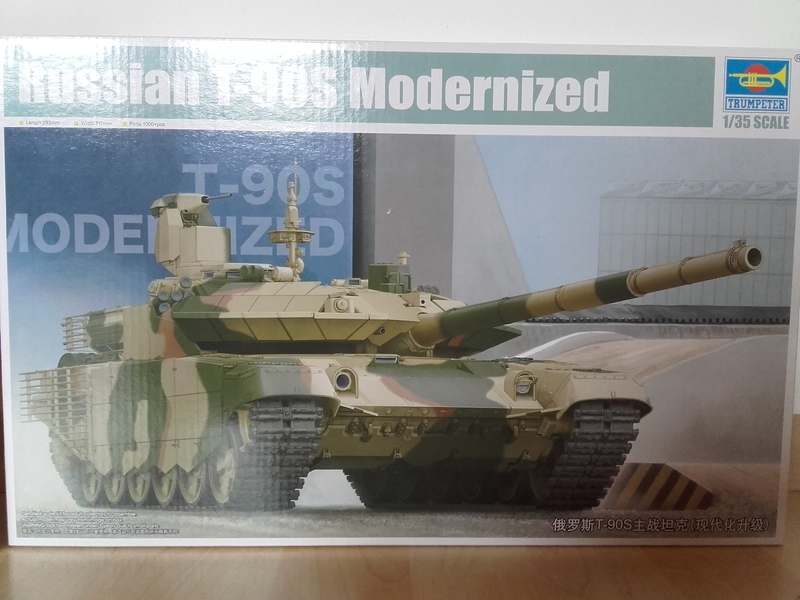 Have a MENG PzH2000 (TS-012). That sounds like an interesting build. I also believe you are the 10th person to commit to the campaign which means Cristian can submit the request now. Welcome aboard! Welcome aboard, Viktor! The Meng PzH. 2000 looks like a great choice. The proposed start date is November 1, 2016 with end set to June 30, 2017. However, depending on the campaign administrators, this might still change. Welcome aboard, Clayton! That's what I call a large kit! Looking forward to this one! Good to have you join, ComradeMP! The 760 parts of that kit are just about right for this campaign. Would helicopters like the Trumpeter Hind be eligible? I don't know the parts count, but I have some aftermarket so it might reach 750. Glad to have you join, Jesper! Chris, if you can get the total count of actually assembled parts above 750, any kit would work. I'd be specially interested in seeing a Hind built, by the way! I guess you are talking about the one in 1/35, right? The kit itself has 468 parts apparently (according to this review) so getting this above 750 wouldn't be easy... but still worth a try! Yes, the 1:35th one. I was hoping it would have more parts. My plan is to add barrel bombs, crew etc, but that really doesn't help. I'll see what else I have in my stash. Woohoo, the 750 Campaign is official! Now I gotta find something tasty to build! I have been eyeing the Hobby Boss kit of the Soviet T-50 infantry tank. The kit has a high parts count and the tracks are individual links which has kept this kit on the shelf for close to a year. That's too bad as it is a cute little thing, kinda like a baby T-34 and the parts look great in the box. 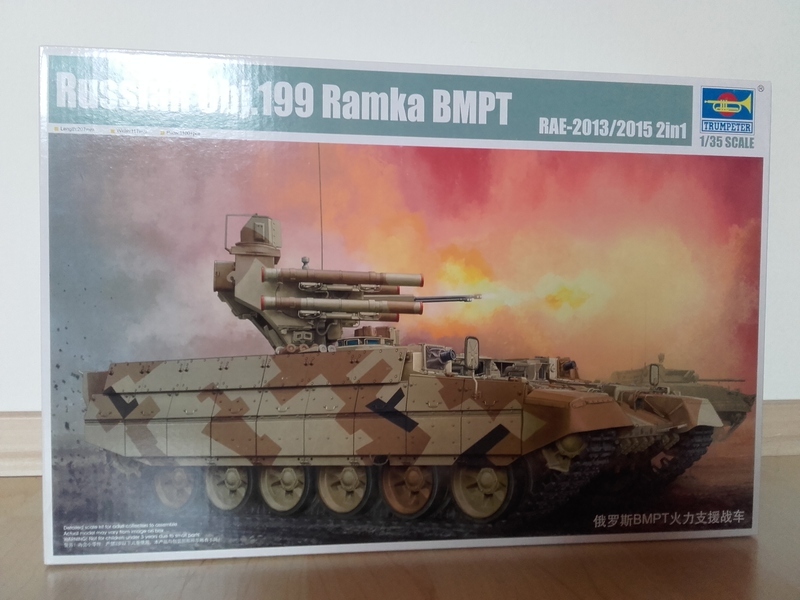 MasterClub in Russia has now released a set of metal tracks for this kit. This track set will replace some of the kit parts but add an inner & outer track pin for each link. With the track kit we go from three parts short to well over the 750. Adding tow cables and other gear should bring the count up even higher. Will this be OK for this build? Only eight signed up so far? Come on, guys! Signed up but may change to my Dragon Sd.Kfz. 138/1 Geschutzwagen 38 H fur s.IG. 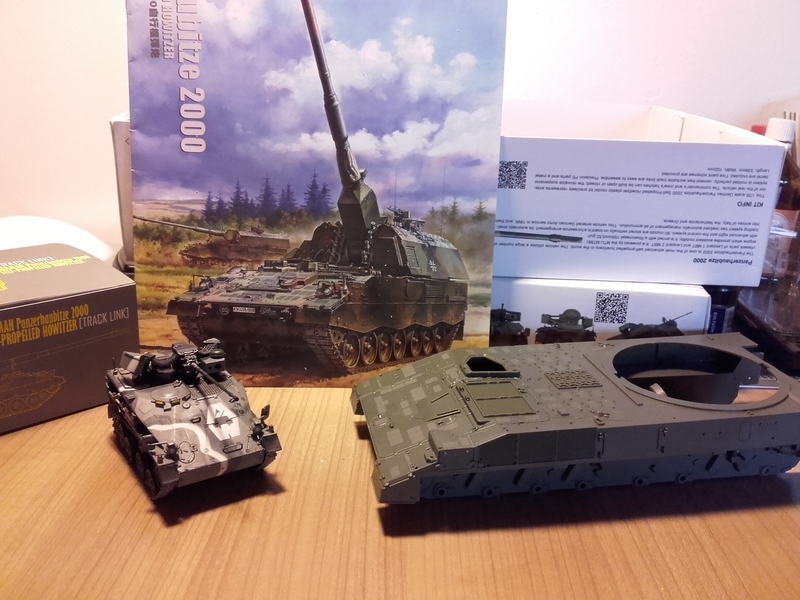 33/2 with extra PE, 904 parts in the kit, save the Tauchpanzer for a 1000+ campaign. 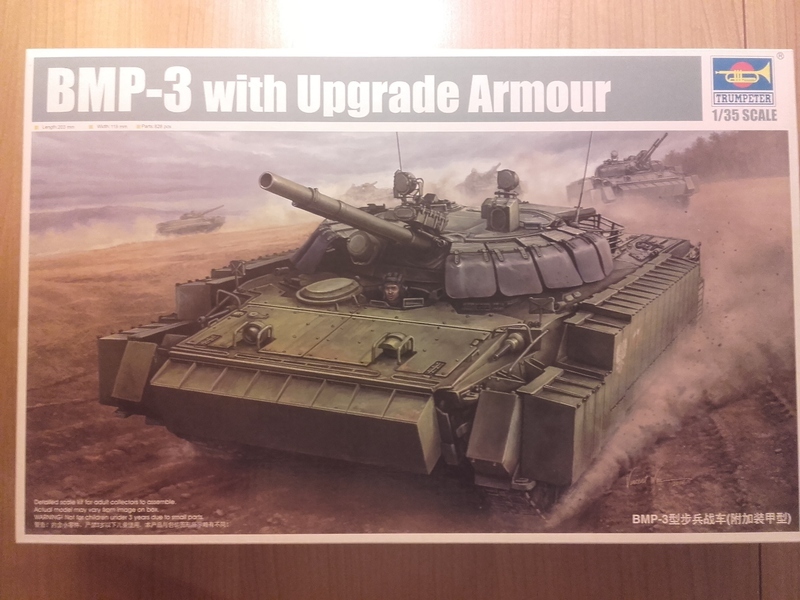 Kits with really high parts count tend to be a bit on the pricey side and some kits don't show the parts count on the box which makes its a bit difficult to obtain a product that fits the requirements for this campaign. can't wait until december with PzH2000. Have already started and should be finished in november.